I am dedicating this entire week to the idea of the “Supper Club.” My husband & I are in such a ‘club’ (which our crew calls “Gourmet Group”) and the premise is simple… Get a few great couples together on a bi-monthly basis, each couple is assigned a dish and a drink to prepare, then chow down. It’s a really fun way to learn new techniques, try new foods, and for me, feel more comfortable in the kitchen… not my strong suit! 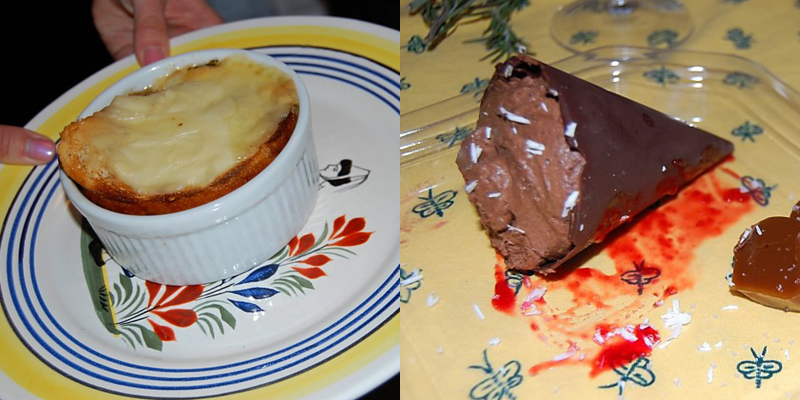 These are photos from our French themed Gourmet Group gathering that my brother Jeff & sis-in-law Kelly hosted last November. (Keep in mind these photos were taken before I knew I’d be a party blogger!) Didn’t they do a great job? 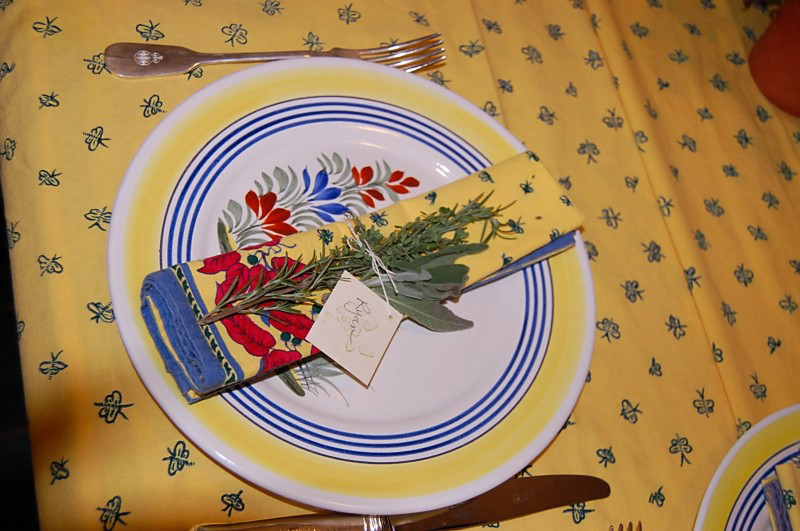 I love the rosemary sprig tucked into the napkin. So sweet. 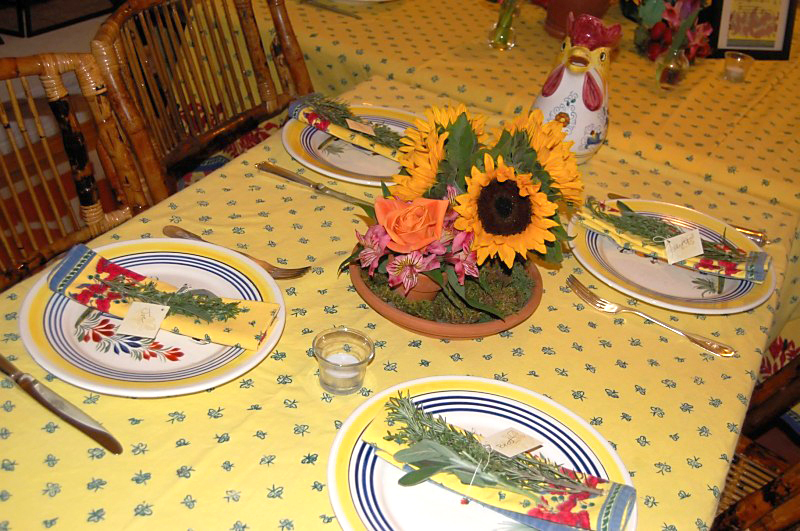 Sunflowers and roosters and radishes took over the tabletop, and we ate off of legit Quimper plates. It was truly a fab French provencal fete. They had everyone bring wines from different regions in France and set up a map of those regions so we could learn about where exactly our wine was coming from. Such a great idea. We ate everything from escargot to French onion soup to coq au vin. Such a great way to try so many different things. Just adorable, no? Ooh la la! 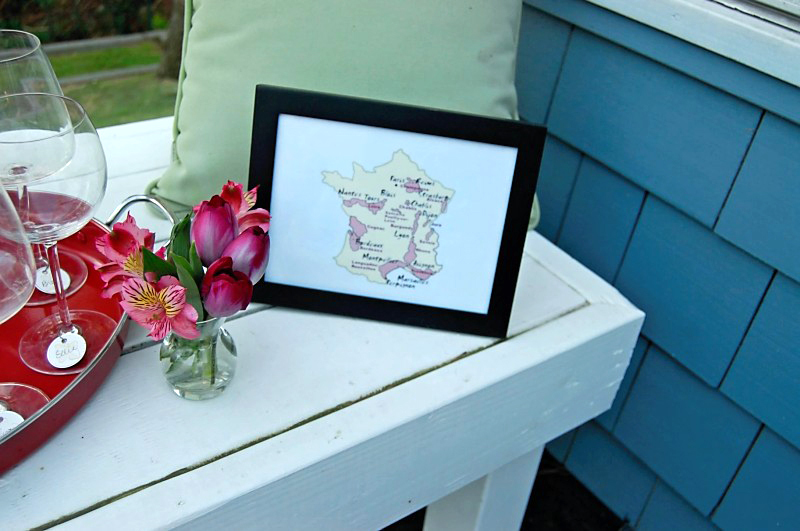 I love me some French decor. Well this weekend marked the end of our first cycle in our supper club. We were the last ones to host out of the seven couples and I will be sharing those photos tomorrow. (I was shooting for today but I was a little foggy on Sunday… probably the margaritas, hint hint.) 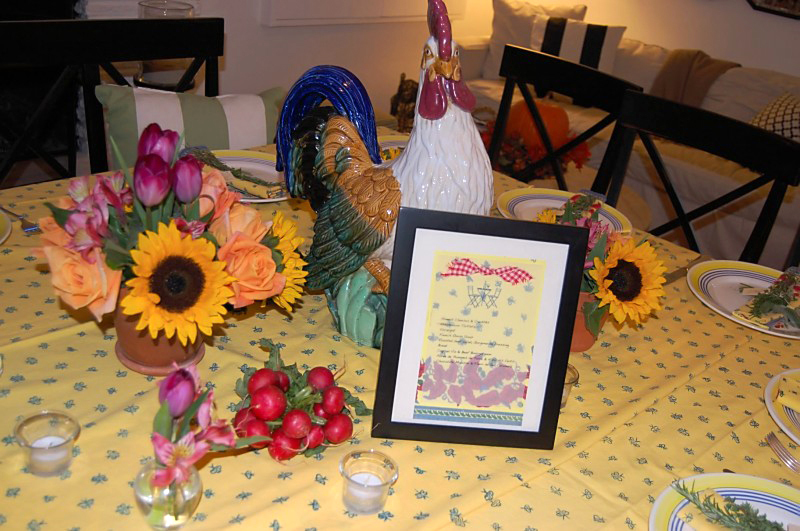 Anyway, this week I will spill more about the way our club is structured, show photos of our and other’s supper club parties, and end the week with a supper club related Idea Thief post. It’s my first themed week! Whoo hoo! Is anyone else out there in a supper club? How do you structure it? What themes have you picked? Okay! Ta ta and Adios! Hasta mañana… hint hint! 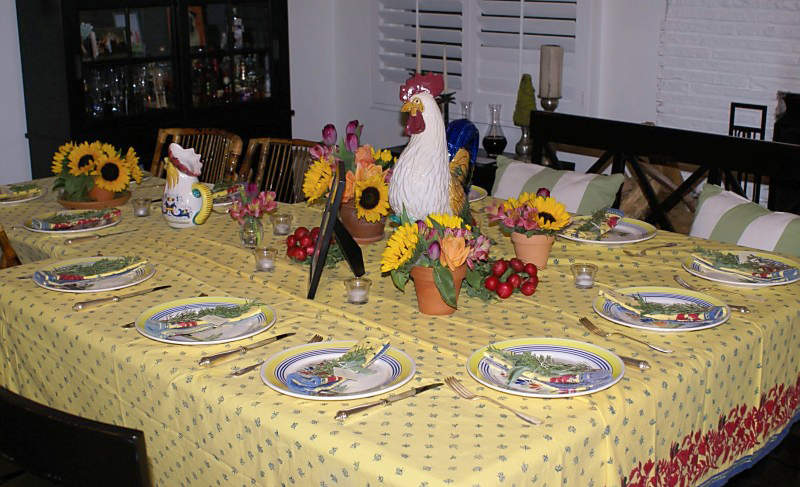 This entry was posted in parties for grown ups and tagged dinner party ideas, dinner party theme, french dinner, french provencal theme, french theme party, rooster party, rooster theme by Annika. Bookmark the permalink.